Amazing! Brilliant! I was really worried that this second installment wouldn't live up to how much I loved the first one, but it did, and then some. Everything I loved about the first one is still there, only better. I still love Mara. I love Noah. Together, these two are just amazing, and I love how they work together to try and solve these issues. As bad as I felt for Mara in the first book, I felt even worse for her in this one. Whereas in the first, her mother and father treat her like she's crazy, in this one, it gets worse. Noah is still there for her, of course, although there are some chunks of time where, due to the circumstances, she's not able to spend as much time with him. But I love how devoted he is to helping her. The big question on everyone's lips might be... do we finally figure out what's going on? Yes and no. There's a definite revelation toward the end that makes things become a bit clearer, and we are left with a pretty good idea of what has caused all of Mara's strange issues, but we most definitely don't know the entire story. It ends with another horrific cliffhanger that had me banging my head on the wall and wishing the next book was already out. I can't wait to see how this thing ends. The writing was amazing, fast-paced, and just as engrossing as in the first book. I'm a huge fine of Michelle Hodkin now. 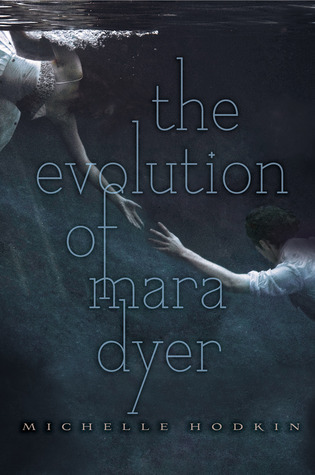 Not only am I looking forward to the final Mara Dyer book, but I can't wait to see where the author goes from here. Awesome! I finished the Unbecoming of Mara Dryer yesterday and enjoyed it more than I thought I would, so I'm looking forward to this book.